Research In Motion (RIM) has announced that BlackBerry smartphones running on the new BlackBerry 7 and BlackBerry 7.1 OS have been awarded FIPS 140-2 certification by the National Institute of Standards and Technology (NIST) and the Communications Security Establishment Canada (CSEC). FIPS (Federal Information Processing Standard) 140-2 is recognized by the U.S. and Canadian governments and is required under the Federal Information Security Management Act of 2002 (FISMA). All BlackBerry smartphones running BlackBerry 7 and BlackBerry 7.1 benefit from this certification, including the BlackBerry Bold 9900, 9930 and 9790, BlackBerry Torch 9850, 9860 and 9810, and BlackBerry Curve 9350, 9360, 9370 and 9380. As a reminder, in addition to FIPS 140-2 certification, the BlackBerry 7 OS has received Common Criteria EAL4+ certification last year. The BlackBerry PlayBook tablet has also received FIPS 140-2 validation in the same year. Commenting on the news, Scott Totzke (Senior Vice President, BlackBerry Security at Research In Motion) said: "The FIPS 140-2 certification for BlackBerry 7.0 and 7.1 illustrates RIM's continuing commitment to providing industry-leading, secure, mobile computing platforms for our customers. With all of the latest BlackBerry smartphones and the PlayBook tablet certified under the FIPS program, government and security-conscious customers can deploy our entire range of products with confidence." 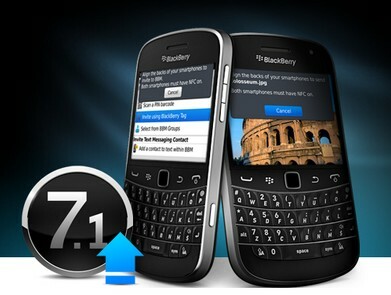 0 comments on "BlackBerry 7 and 7.1 devices get FIPS 140-2 Certification"